Our private driver “Ourass Travels - private tours in Morocco” will pick you from your riad and we drive to Essaouira. 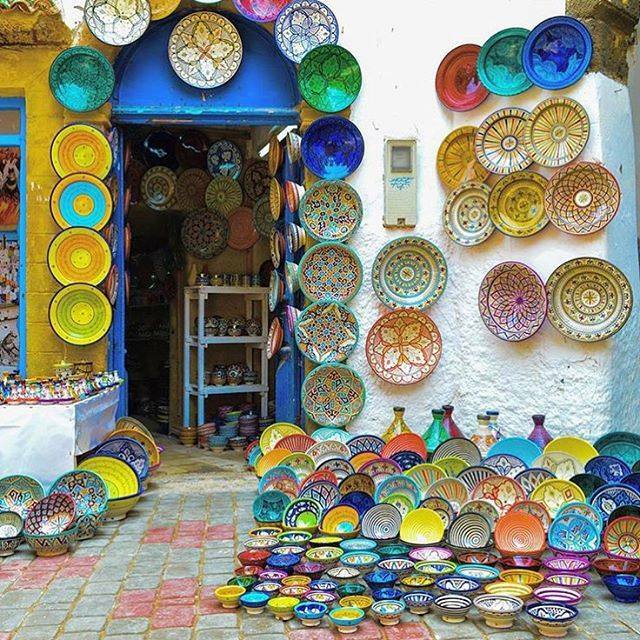 Located on the windy Atlantic coast, about three hours southwest of Marrakesh, is the small city of Essaouria , also known by some as “Mogador,” it’s old Portuguese nomenclature. 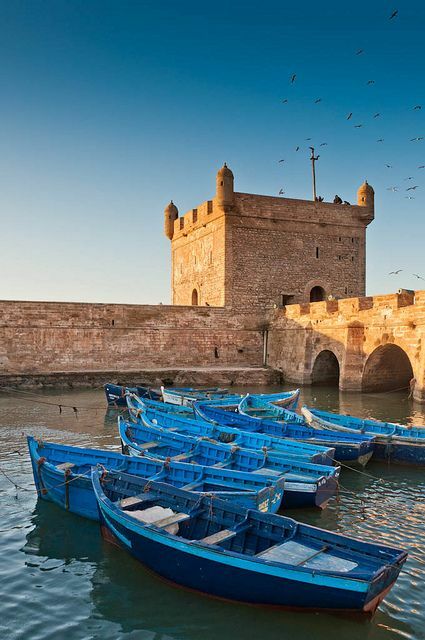 In fact, this vibrant city has a long history of colonization with the Portuguese in particular being responsible for the construction of the massive stone walls that still surround the old medina of Essaouira. This, among other reasons, is why it is listed as a UNESCO World Heritage site. With its long beach, calm harbor and friendly locals. Windsurfers glide over the waves, the call of seagulls echo, and fishing boats pull into harbor. The salt air here is a crisp respite after a few days in Marrakech or in the heat of the desert. Essaouria has been a port town for quite some time. Essaouira is known as North Africa’s wind capital and rightly so. Days of wind are as common as grains of sand and just south of the medina are several locations to rent surf equipment or to set up surfing, kiteboarding, windsurfing, or kitesurfing lessons. The latter is the latest draw to this ocean side town as near-perfect conditions can be had every day of the year. We pick up you from your hotel / riad at 8.30 am.